The Balmoral is an unbrimmed cap consisting of a band, a loose crown, and a short length of exposed ribbon. It may or may not incorporate a toorie (the correct term for the "pompom" on top). Balmorals (and a similar hat called a Tam o'Shanter) are usually worn as field dress by Scottish and Commonwealth soldiers. 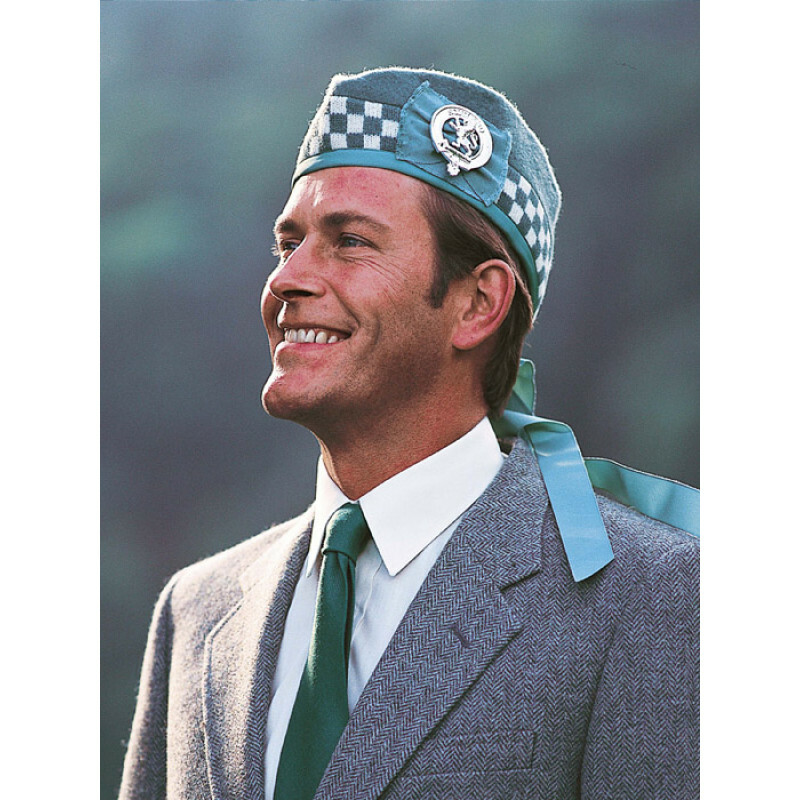 It is also often worn with a hackle and a clan crest badge. The Glengarry is a type of cap and consists of a boat-shaped cap without a peak made of thick-milled woollen material with a toorie or bobble on top and ribbons hanging down behind and can be folded flat. It became part of the uniform of a number of Scottish regiments and others elsewhere, with differences in colours and dicing as a means of identification. 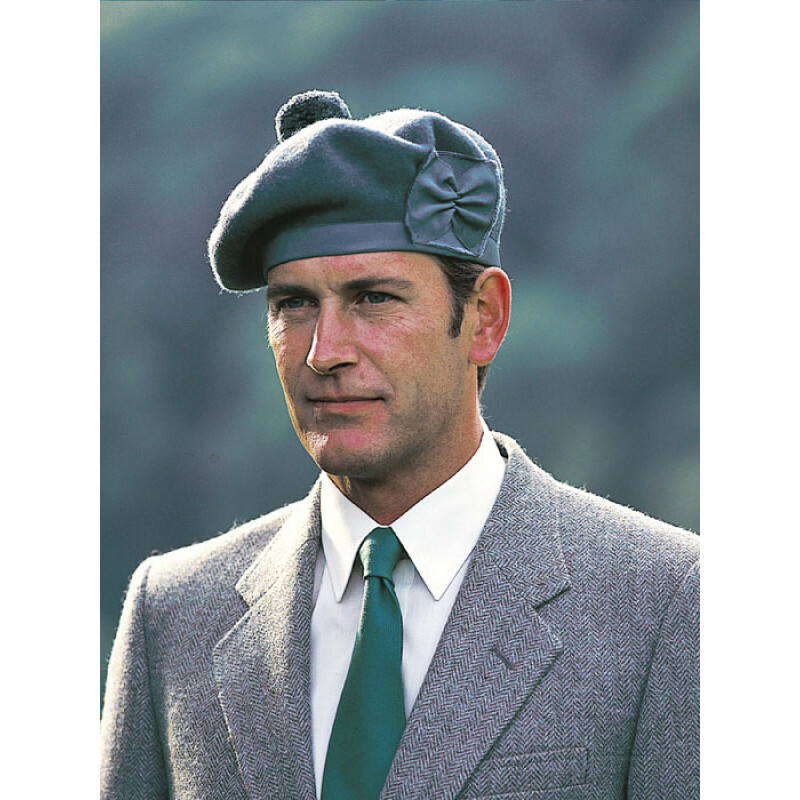 The Glengarry is also worn by civilians, notably civilian pipe bands, but can be considered an appropriate hat worn by any males with Highland casual or evening dress.The correct method of wearing the Glengarry has changed since the end of the Second World War. Prior to 1945, Glengarries were generally worn steeply angled, with the right side of the cap worn low, often touching the ear and the side with the cap badge higher on the head. The trend since the end of the war has been to wear the Glengarry level on the head.